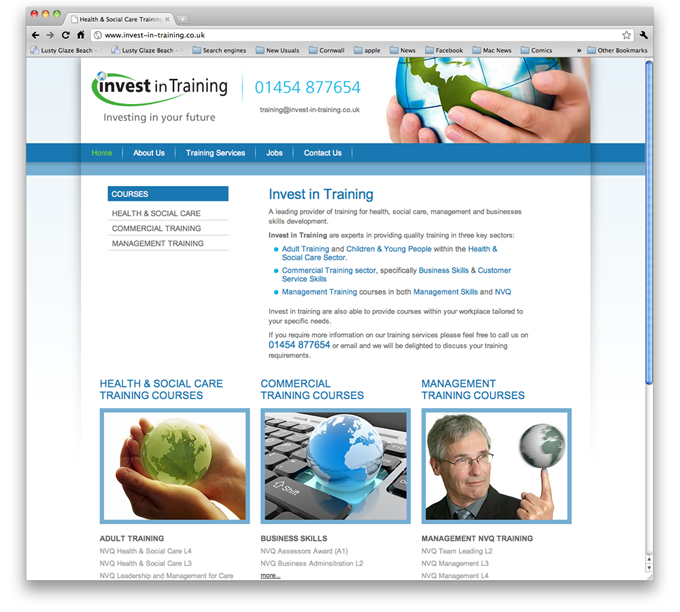 “Invest in Training” launched as a company in 2010 and required a website that showcased its extensive portfolio of training courses within the Social Care Sector. It is geared towards gaining enquiries from interested parties both in the public and private sector. All the pages generate dynamic SEO content to best embrace Search Engines.